I would like to invite you all to visit my exhibition in Stuttgart in October and November. 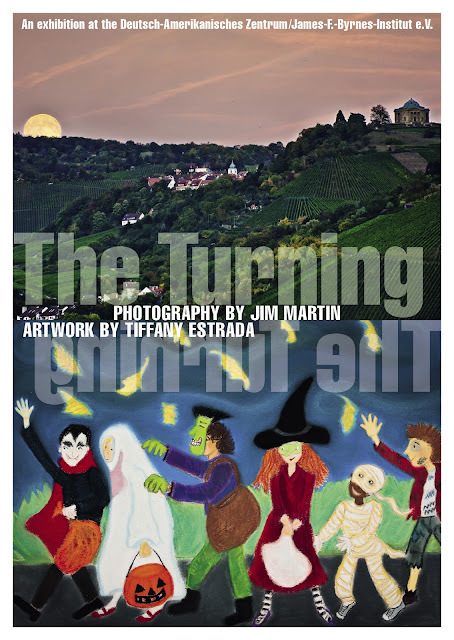 The Deutsch-Amerikanisches Zentrum is hosting an autumn exhibit of works by Tiffany Estrada and me entitled "The Turning". It will be much more than just an exhibition, though. Storytelling, an installation and a photo walk on October 30 are all part of the fun. Come join us on October 14 at 6 p.m. for the grand opening or view the works on your own time Tue.-Fri. from 9-1 pm or 2-5 pm in the DAZ at Charlottenplatz 17. The show will hang until Dec. 3. Wish I could be there. I will be thinking of you.